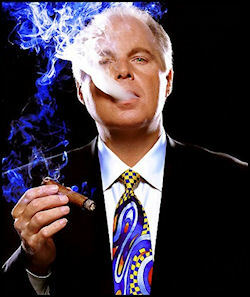 The Funny Pages - Rush Limbaugh's Herman Cain Confession! The Funny Pages – Rush Limbaugh’s Herman Cain Confession! A very interesting situation indeed! American politics at its best! Who needs wrestling or cable television when you can get just as much of a RUSH from good old Washington D.C…..? Tags:2012AddictAllegationsCampaign FundsCampaign SmearCareerChargesConservativeFanbaseHerman CainHerman Cain Sexual HarassmentInappropriate BehaviorLance ScurvinNatioanl Restaurant AssociationOxycontinPillsPresidential RaceRacistRepublicanRush LimbaughScurvTea PartyThe Funny Pages - Rush Limbaugh's Herman Cain Confession! Previous : Are You A Hellbound Member Of The Exclusive Order Of A Man Made Carnal Church? Next : LanceScurv TV – Blu Bailey, Devery Broox & K-6 Share Their Incredible Flow In Downtown Orlando!